Model RTLA-130 Rotary Actuator provides precision angular positioning combined with high load capacity. 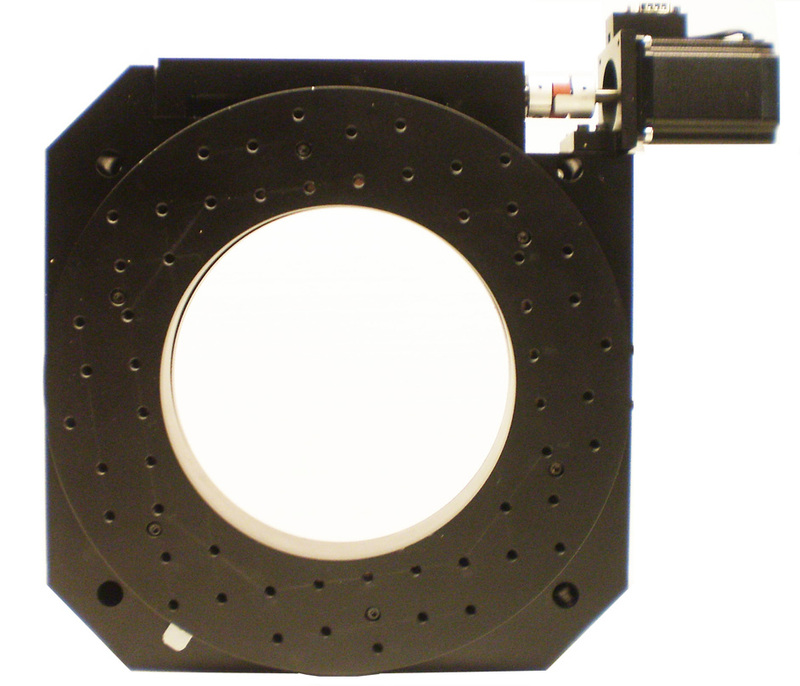 This 130 mm center aperture stage features a micro-step drive enabling angular speed up to 20 deg/s. 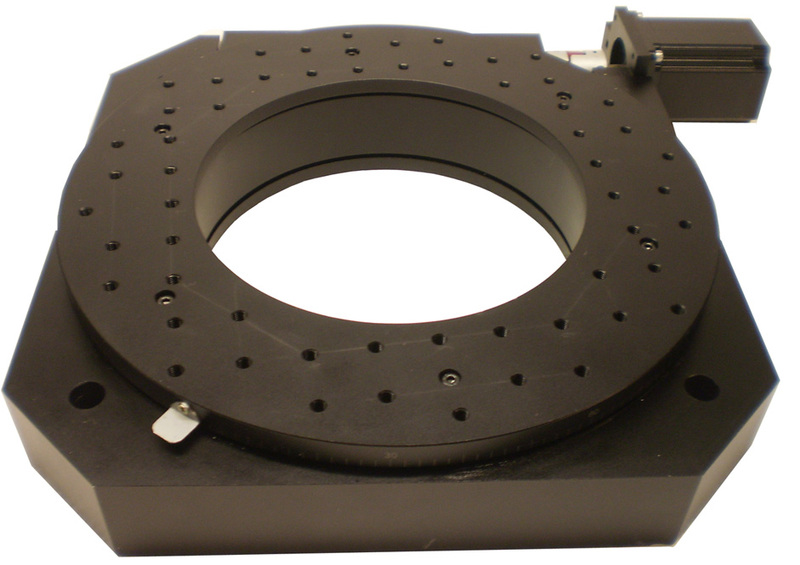 All RTLA rotary actuators are constructed of anodized aluminum with a double row of preloaded bearings that allow for off-center loads in a reduced footprint and improved stiffness without compromising dynamic performance. Precise rotation is ensured by a precision ground and hardened worm gear.